For decades management has learned lessons and absorbed wisdom from an array of disciplines: psychology, sociology, biology and more. But philosophy and the practical wisdom it embodies has been overlooked. No longer. 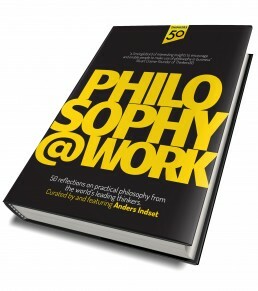 Anders Indset is on a mission to bring philosophy into every organisation of our times. This book offers 50 reflections on practical philosophy and on how to apply philosophy in business and leadership. The starting point to a world of practical applied philosophy, a first insight into the beginning of a new era.